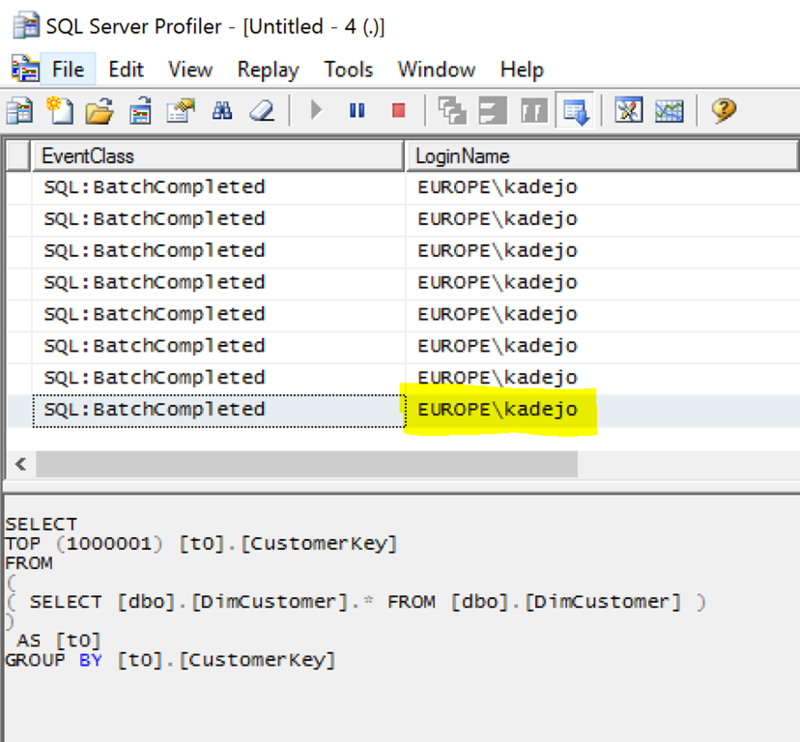 One of the questions I get regularly now that SQL Server supports RLS is how can to leverage this with SSAS. 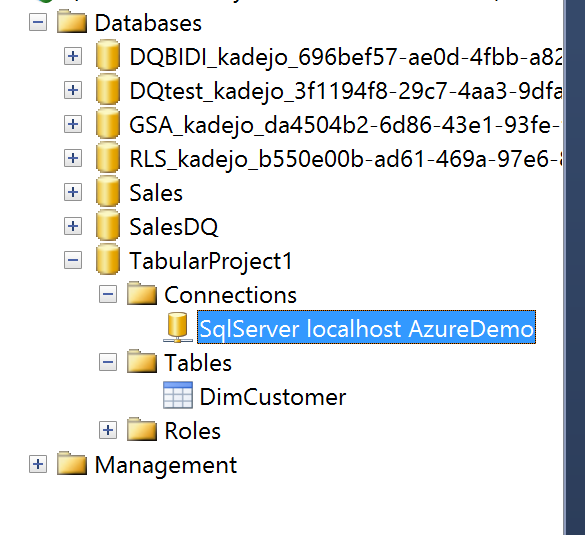 What many don’t know is that SSAS already supports this, even for Direct Query mode. 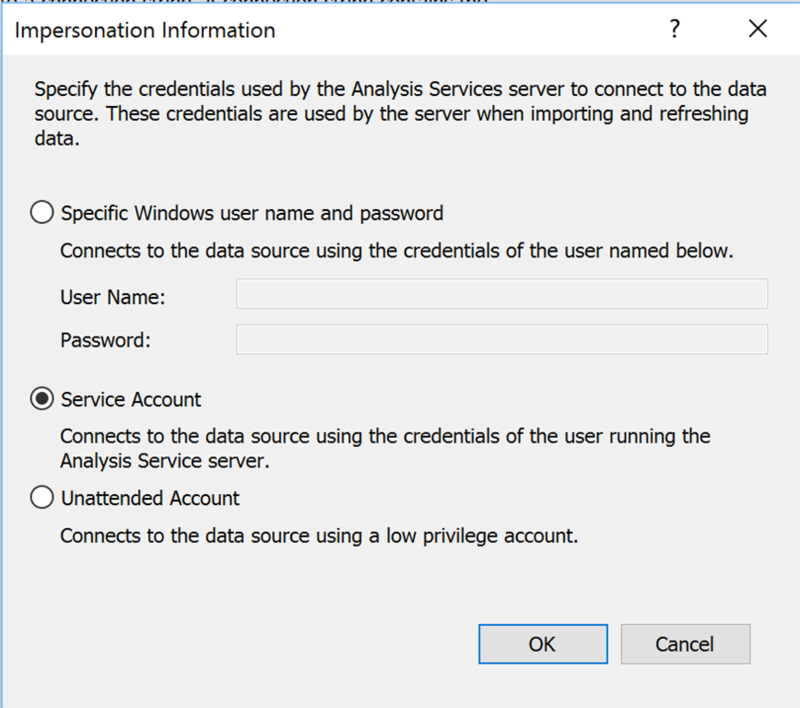 So in this case you could have something like the following architecture: Dashboards and reports in Power BI that connect to an on premise SSAS server running DirectQuery mode connecting to SQL Server. 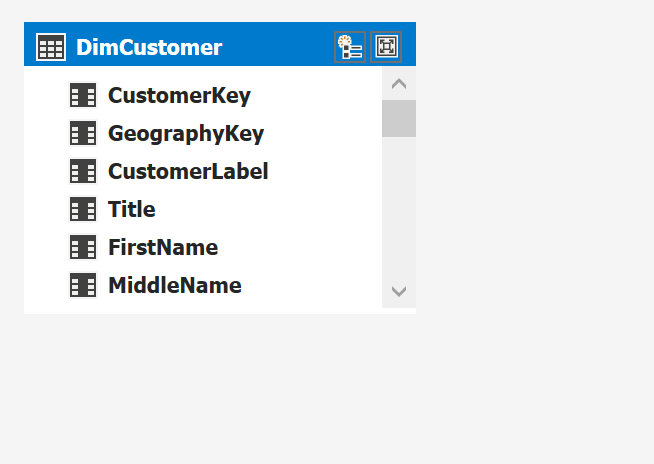 All with the same username flowing from Power BI all the way down to SQL Server. Let’s see how this works in SSAS, the Power BI and gateway part work as usual, no changes are needed there. The example below is using Tabular DirectQuery but the same works for Multidimensional ROLAP. 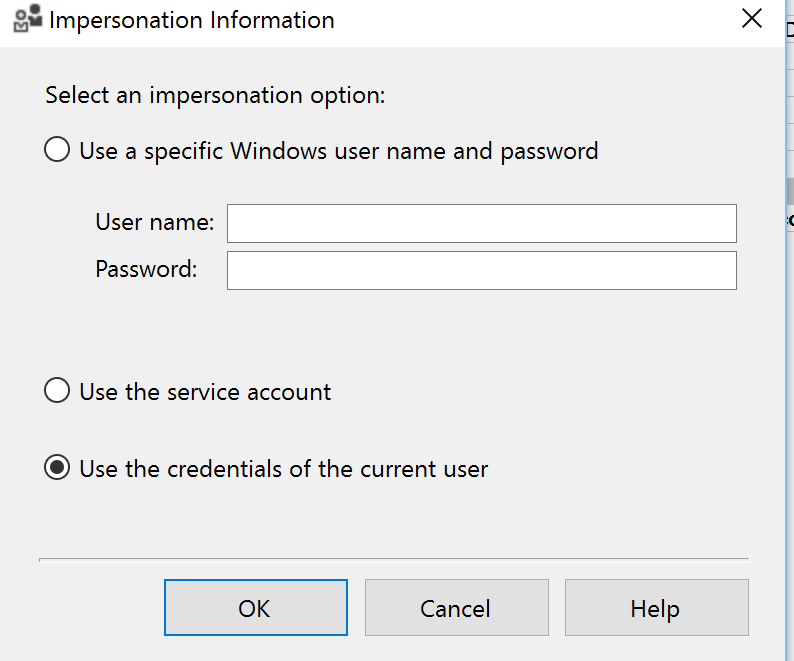 and that’s it, now SSAS passes on the credentials of the current user. 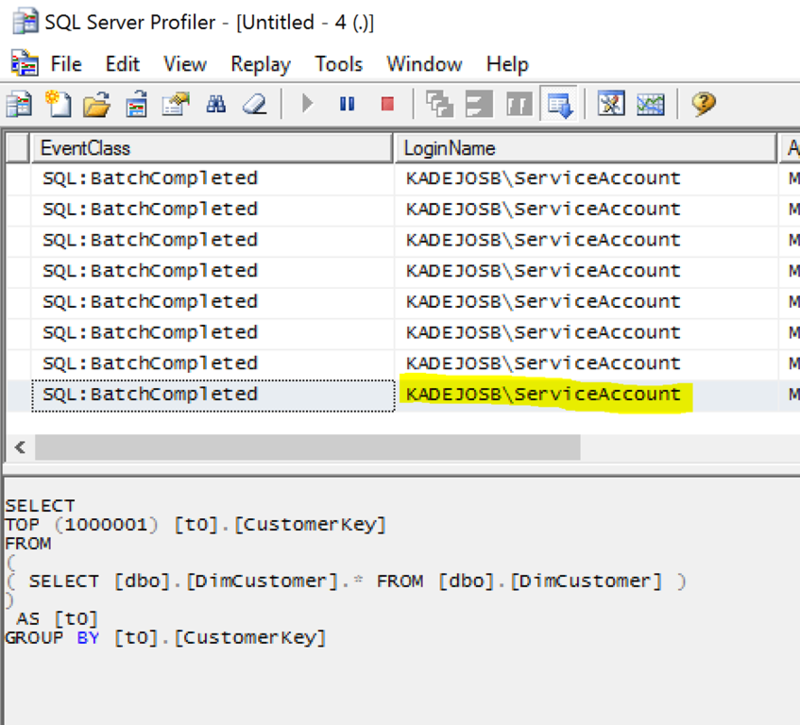 If you have RLS configured at your SQL Server SQL database it will now only return the rows approved for this user. This option works for both Multi dimensional and Tabular. Thanks for the info. 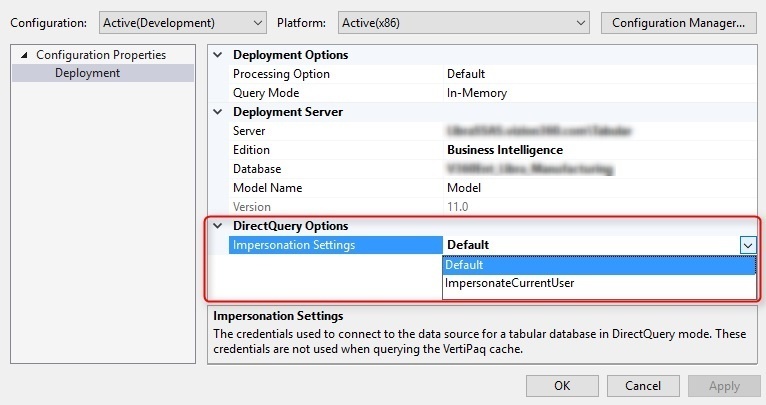 I believe you can change the impersonation info in the DirectQuery Options section of the Deployment properties of the Tabular database in SSDT.